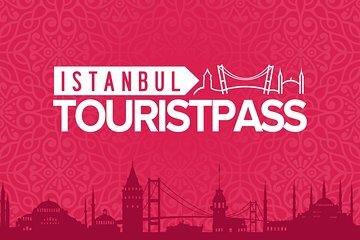 Sparen Sie Zeit und Geld für die wichtigsten Attraktionen Istanbuls mit einem Istanbul Tourist Pass, mit einem 3- oder 7-tägigen digitalen Stadtpass. Dieser umfassende Sightseeing-Pass gewährt Ihnen: Zutritt zu den Museen der Hagia Sophia und des Topkapi-Palastes; Eine Hop-On-Hop-Off-Stadtrundfahrt mit dem Boot und die Bosporus-Strait-Bootsfahrt sowie abendliche Aufführungen mit wirbelnden Derwischen und das SEA LIFE Aquarium in Istanbul. Besuchen Sie mit Ihrem Istanbul-Sightseeing-Pass die wichtigsten Sehenswürdigkeiten der Stadt. Profitieren Sie von Ermäßigungen bei den öffentlichen Verkehrsmitteln und nutzen Sie die WhatsApp-App für unterwegs. Ihr Istanbul Tourist Pass wird Ihnen vor dem von Ihnen gewählten Reisedatum per E-Mail zugeschickt. Mit diesem Sightseeing-Pass, der für 3 oder 7 Tage gültig ist, haben Sie Zutritt zu mehreren Attraktionen von Istanbul, einschließlich Hop-On-Hop-Off-Bus und Bootstouren, die Sie in Ihrem eigenen Tempo durch die Stadt führen. Direkter Einlass für zwei der größten Publikumsmagneten Istanbuls: die Museen des Topkapi-Palastes und der Hagia Sophia. Wenn Sie Istanbul vom Wasser aus sehen möchten, unternehmen Sie eine Hop-On-Hop-Off-Rundfahrt um das Goldene Horn, um die Sehenswürdigkeiten der Stadt aus einer neuen Perspektive zu betrachten. Am Abend fahren Sie zum Hafen und erkunden die Bosporus-Straße bei einer Dinner-Kreuzfahrt, auf der Sie eine Auswahl an türkischen Spezialitäten und Live-Kulturveranstaltungen erhalten. Ihr Pass beinhaltet auch eine Eintrittskarte für eine abendliche Show mit wirbelnden Derwischen, die sich auf dem Boden zu traditioneller Musik drehen. Begeben Sie sich auf eigene Faust zum Kulturzentrum, um sich diesen schillernden Tanz anzusehen. Fahren Sie durch Istanbul mit einer Hop-on-Hop-off-Bustour mit informativen Audiokommentaren auf zwei Routen. Bleiben Sie für die gesamte Runde an Bord oder steigen Sie an einer Haltestelle für Besichtigungen aus. Sehen Sie den Taksim-Platz, den Sultanahmet-Platz, die Bosporus-Brücke, den Dolmabahçe-Palast, den Gewürzmarkt (Ägyptischer Basar) und staunen Sie über Meerestiere im SEA LIFE Aquarium in Istanbul. Die Liste der Haltestellen finden Sie unten in der Reiseroute. • 1 Flughafentransfer, kostenlos vom / zum Atatürk Flughafen oder kleiner Aufpreis vom / zum Flughafen Sabiha Gökçen. The hop on hop off 3 days pass was hardly used due to miscommunication with the merchant and viator as claimed by the merchant that they have notified viator since last month that they are going digital but until today the viator website has not been updated according to the merchant who kindly delivered the museum pass that needed to be presented physically. the museum passes came in late and wasted my time just strolling around the hotel area where no pass is needed.  When i purchased this product, viator confirmed the purchase and assured me that the passes and tickets will be delivered 24 hours before my arrival. It was already my second day and still waiting for the museum passes to be delivered by the merchant. The big bus guys can not undertand English and they prioritize walk in passengers who will pay directly to them. The merchant offered apologies and promised to return what was not availed in that 3 day pass. What a disappointing experience. I bought the three-day pass. I thought it was three days of hop on and hop off. It wasn't. The skip the line card has to be delivered to your hotel. The bus departures from point to point are not frequent. The cruise was long and the show on board was like an amateur night. The belly dancer was over 50 . 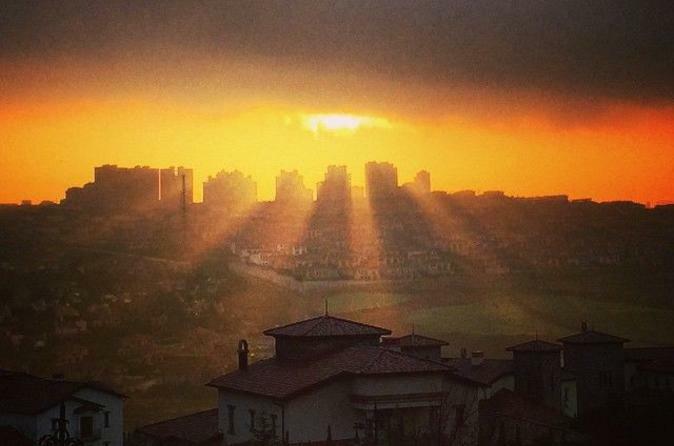 There are much more interesting ways to see Istanbul than this option. However, just riding the hop on for a day and taking time for pictures and walking would be a good investment. Do a one day pass and skip the big package. Very disappointed with what it cost. I got 7 day Pass. Overall it was worth the money although I did not cover all the museums and used the museum card only for Topkapi and Hagia Sophia. This card cannot be used for Dolmabahce Palace and you need to buy separate ticket. The package also included Istanbulkart which you otherwise get for 6TL. The Dinner cruise and Hop on hop off boat tours were very good and the Dervish experience was great. The WiFi device worked very well although you cannot use more than 1GB data in 24 hrs and it is supposed to be used purely for tourism purposes. The tourist pass gives you peace of mind and lets you organise your trip even before you land in Istanbul, saving lot of time. There are plenty of places to see in Istanbul and this pass gives you a good coverage. El pase llegó a tiempo, mucho antes de nuestro check-in. Nos encantó la presentación del mismo. Ahí se ve la seriedad y el compromiso de la empresa. El contacto con la empresa es rápido y son oportunos. La descripción de sus servicios es clara. El asesor que tuvimos por Whatsapp llamado Nelson, fue también muy oportuno y formal. Resolvió todas nuestras dudas. Este pase vale la pena si vamos a estar los 3 días completos en Estambul, pues de lo contrario quedan cosas pendientes. La verdad el HOP ON-HOP OFF BUS no nos gustó del todo. Primero la atención de la mujer encargada de imprimir los boletos fue un poco tosca y nada formal, los hombres en cambio son más bien formales.También vimos un número normal de turistas y los buses se demoran mucho en las paradas, no alcanza uno a aprovechar este pase como debería ser. Este servicio tiene las paradas claves en Estambul pero no nos convenció del todo. Otra observación, es que sería bueno que la empresa pudiera dar la opción de seleccionar otras atracciones en vez del baño turco, a nosotros esa entrada no nos llamó la atención. hubiéramos preferido encontrar en el pase la entrada a la Cisterna Basílica o a la Torre de Gálata. Otra observación es que reservamos a través de la página y con tiempo la fecha del crucero y la cena y cuando llegamos llamamos y nos dijeron que no veían la reserva y nos ayudaron con la reserva de último momento, pero si no hubiésemos llamado tal vez no hubieran pasado por nosotros al hotel. Es un tema a tener en cuenta. Sin embargo, el crucero estuvo excelente, el acceso rápido a las atracciones nos encantó, la opción de pagar un pequeño recargo para el traslado desde o hacia el aeropuerto de Sabiha es excelente y clave para el turista. Agradecemos a Viator y a la empresa proveedora del pase por su seriedad y esperamos nuestros comentarios sean tenidos en cuenta. It was average. Other cities that have the hop-on-hop-off, allow you to use the buses for the entrie period of your city pass. The Istanbul one only allows you you to use the buses for ONE day. that is a pity because for the rest of your stay, you have to either walk or take a taxi to the other sights that you have tickets for. Also, the bus-stops are VERY poorly sign-posted and the drivers are extremely rude. Gracias a esta compañía, nuestro paseo por Estambul fué maravilloso. Los pases estaban listos en el hotel cuando llegamos y no tuvimos que pagar extra para que los enviaran. Reservar las atracciones que lo requerían fué muy sencillo. El soporte en Whatsapp fué muy útil durante y antes del viaje nuestro guía fué muy amable y nos hizo varias recomendaciones para hacer nuestro viaje más placentero.